There are many disadvantages that orphaned children face compared with the non-orphaned. These include the loss of adult guidance and protection, the lack of emotional and material support, and the lack of adult figures to transmit the norms, values, beliefs and practices of the culture into which the child is born. Thus, in the absence of parents, the question arises as to who is best suited to undertake the parental functions. And so, stepping into that role, part of our goal as a Mission is also to promote positive educational outcomes for orphaned children through the spiritual, emotional, social, financial and material support that we provide through our Orphan Day Care Programs. AFnet’s commitment as a Mission includes ensuring that all our children are able to realize their full potential. Trying to provide each one of our Orphans with a quality basic education is part of that philosophy to make sure that not one of the children entrusted to our care is left behind. No child chooses to be born into poverty. No child chooses not to be able to access safe education. But quality is essential to effecting real change. And so, education that is provided must equip children and young people with the knowledge and skills needed to meet the demands of not just the local, but the global labor market. Therefore, while our primary goal is to afford, and help each of our children to at least obtain a High School sertificate, it’s become increasingly obvious that some of our more motivated and accademically inclined High School graduates, not only have the accumen, but also the desire to continue Post High School. While financially challenging for our Ministry, we have already sent several of our senior children on to University and College. We’re proud to say that we’ve not had a single drop-out or failing student yet. Now again, this year we will be sponsoring several more of our children to enter Tersiary programs. Profiled here are the background stories of just two of our orphans who are now starting their College and University training. Mildred Bwembya arrived at the Mansa Center as a 14-year-old girl in 2011. The first born of 3, and having lost both her Mother and Father, she really had nowhere to go, and without much hope of getting anywhere in life as a girl from the village. But once she settled into the program, through shear determination, personality, talent and natural beauty, she quickly found her place; stealing the hearts of both our team and her fellow orphans alike. By the time she approached High School the younger children all looked up to her as “Big Sister”, and to some, almost as a mother figure – a role in which she excelled and blossomed. Committing her life to God soon after entering the program, Mildred became an active member in church, blossoming even more under the mentorship of Pastor Henry and Esther. Eventually becoming an Usher in church, she never missed services, while actively involved in the youth program and choir. She’s always been a hard worker, committed to her schoolwork. But she did struggle academically. However she focused and worked hard, eventually making it through High School. 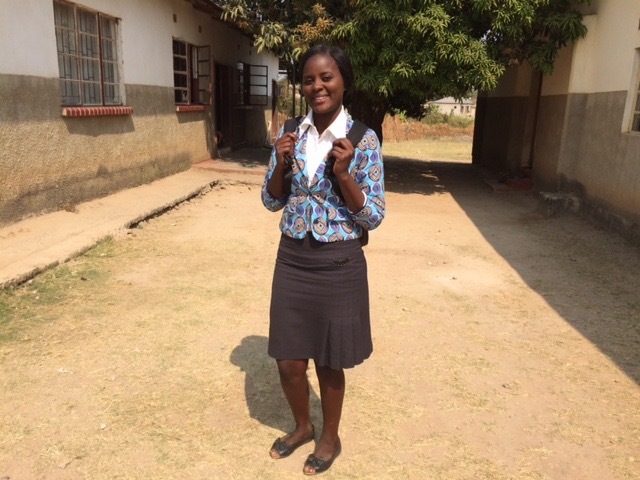 While her favorite subjects were Math, Biology, Science and Fashion Design, she did struggle to get high enough grades to enable her to qualify for College. But this did not deter her from continuing, through Tutoring help that we provided, to sit again a year later for her exams. And so Mildred recently qualified, and was accepted at Malcolm Moffat Teachers Training College. Pray for her, as she now, for the first time since arriving at the Center as a child, will now have to face the challenges of real life, outside the protective boundaries of the Orphan program where she spent most of her formative years. Emmanuel Chanda, was brought and dropped off at our Center in January 2015. We found out that he was one of 6 children from a vulnerable home, where the father had lost his mind, and a mother unable to provide in even the basic nutritional needs of all the children. When asked why he had come to us, he answered that his greatest desire was to go to School. Taking him in, it soon became apparent that, aside from being very shy, that he brilliantly excelled in academics. Also, apart from a passion to play soccer with the other boys, he otherwise, kept very much to himself and his books. As a loyal and hard-working student, his focused attention to his schoolwork proved to be a valuable investment into his own future. 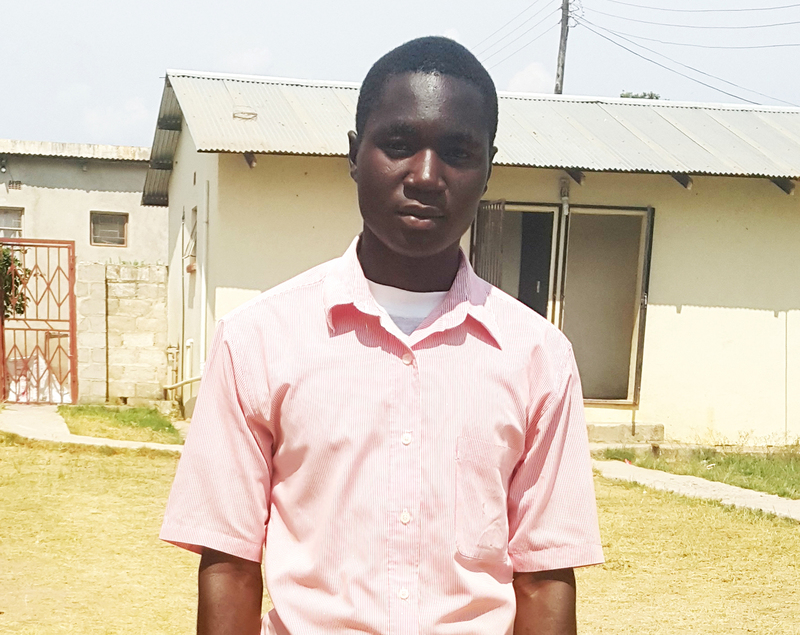 And so Emmanuel graduated top of his class end of last year, thus securing an invitation to join the freshman class of 2019 in the Government School of Nursing in Mansa. We are happy to send him to College, and to continue paying for his studies and keep going forward. Working hard, and being faithful, Emmanuel now has a real chance at fulfilling his life dreams, while at the same time being able then to also become the breadwinner and provider for his own struggling family. We are convinced that the benefits of investing in children are manifold; including achieving peace, sustainable development for current and future generations and building a more prosperous continent. Investing in education is one of the crucial steps towards addressing poverty, hunger and building a generation that is liberated from deeply entrenched inequality. Unfortunately, inadequate and ineffective public spending on child-focused programs remains a barrier for the fulfillment and enjoyment of the rights of most such children in Africa. However, may we then remember the importance of investing in the well being also of these precious orphans! While AFnet may never make any significant dent in the need, we yet remain committed to play our part in making sure that the needs of marginalized children on the continent are addressed. And, indeed, that ultimately no African child is left behind. At least for those whom we are able to reach and help we will continue to provide them with the critical tools to help them escape poverty by themselves. Will you then join hands with us in this great venture, and contribute towards our children’s on going education fund this year! Kindly designate your special gift as such in the attached response slip, or if you’d like to contribute monthly towards this need, please indicate so in your response, and we will be happy to send you additional information on how to set up an ACH monthly debit order instruction, and/or guide you towards setting up a PayPal payment plan. Otherwise, you may choose of course just to continue sending checks through the mail. Your contribution WILL make a difference!